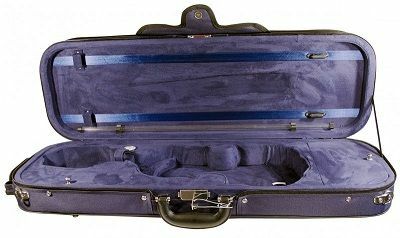 Good Quality Hidersine VC107 violin case with 2 bow holders. Quality padded Cordura cover with full length music pocket. Two bow holder clips. Ruck sack straps. Hygrometer and blanket.